Make twice as many of these as you think you will need......they go FAST! Wearing latex gloves, cut eat pepper in half length wise and scoop out the seeds with a teaspoon. 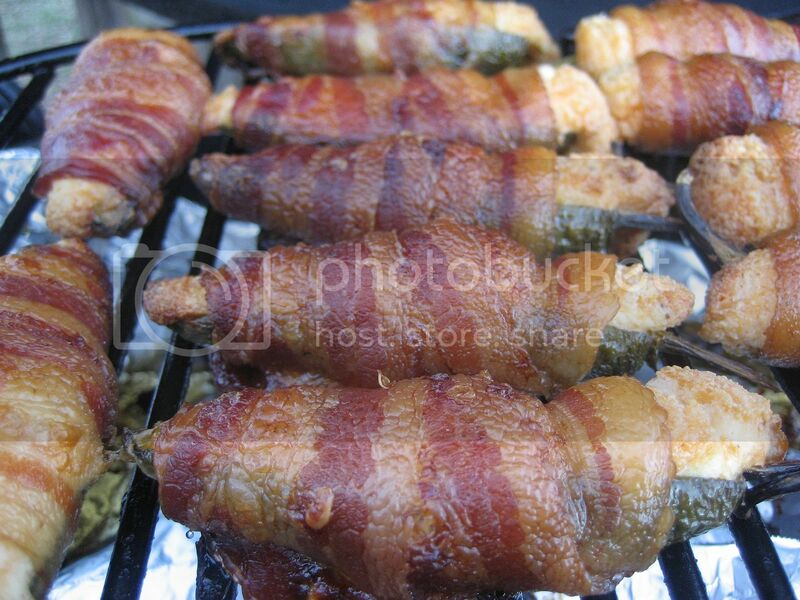 Then combine, cream cheese, mexican cheese blend, rub and pulled pork until thoroughly combined and fill each pepper half with about 2 TBS of the filling. 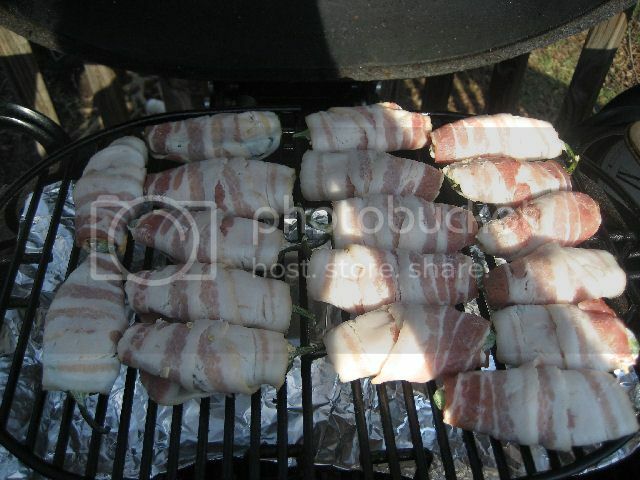 Wrap each pepper half with 1 full strip of bacon and place on the smoker over indirect heat in the 245º-260º range and smoke for approximately 1.5-2 hrs until the bacon is rendered and crisp. 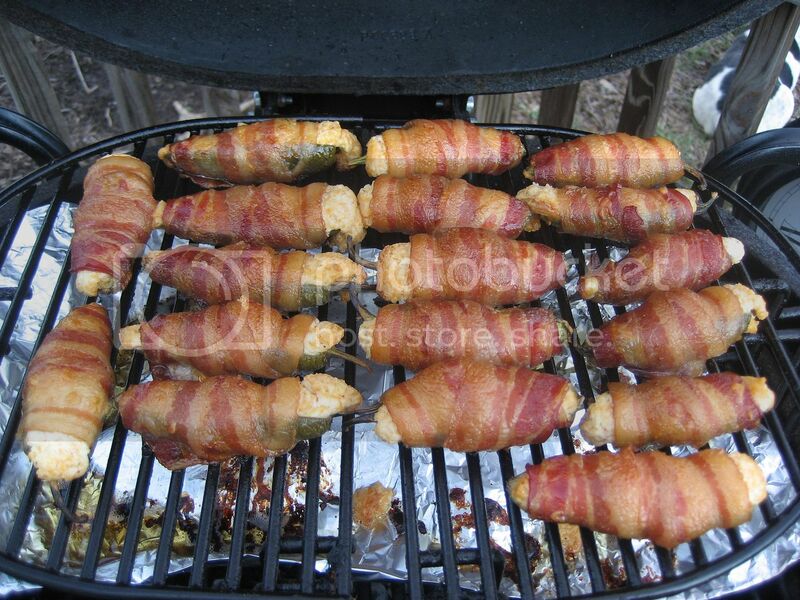 These can be made on a broiler pan in the oven, but for best results, cook on a grill or smoker. Ready to enjoy. You can serve with Ranch or Bleu Cheese and celery and carrots. I imagine you think thick-cut bacon will not cook quickly enough. 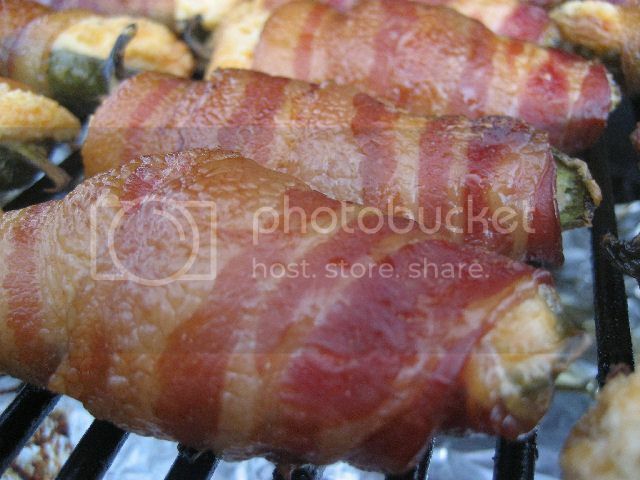 Do you have the same thinking for bacon-wrapped fatties? I've 6 lbs of freshly smoked bacon on the counter... I'm just thinking of some different uses throughout the week. 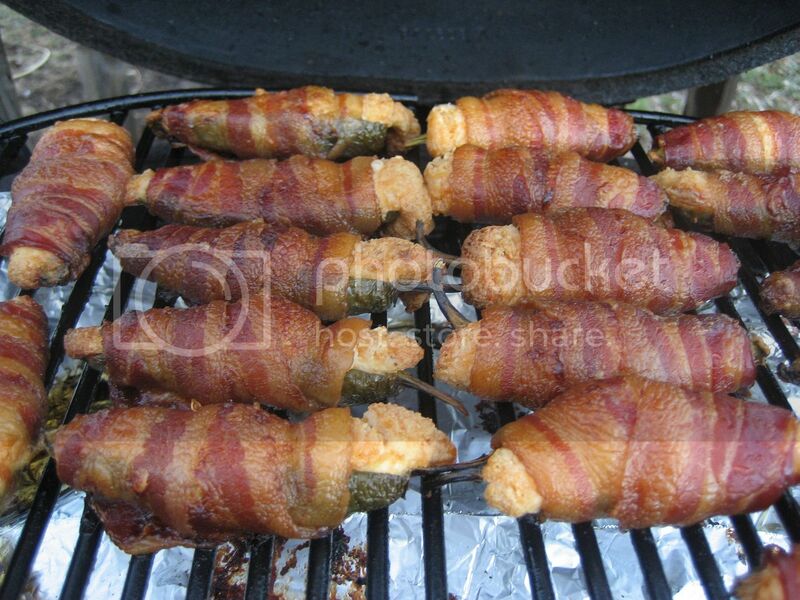 So far, my ideas include Bacon & eggs (that's tonight, to test the bacon), Pinquitos w/ bacon, a fatty or 3, any other ideas? Yes, the thinner bacon will render and crisp up a bit faster, as well as hold it's shape better than the thicker cut bacon. I love Pinquintos, still have about 1.5lbs left and that may be a good use for some smoked turkey legs in the freezer! 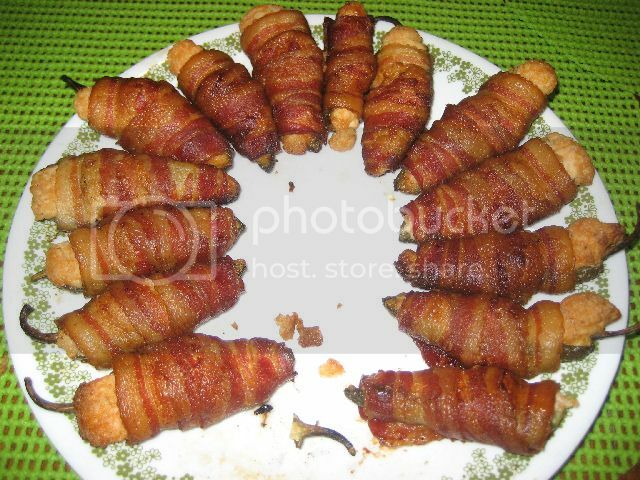 Try making Pig Candy with thick cut bacon. Sprinkle liberally with Wolfe Rub Original and cook indirect until the bacon is rendered and crisp! If you don't have Wolfe Rub, then you can simply use brown sugar, cayenne and black pepper. Blog looks great... keep it coming. What type of wood did you use for the smoke?